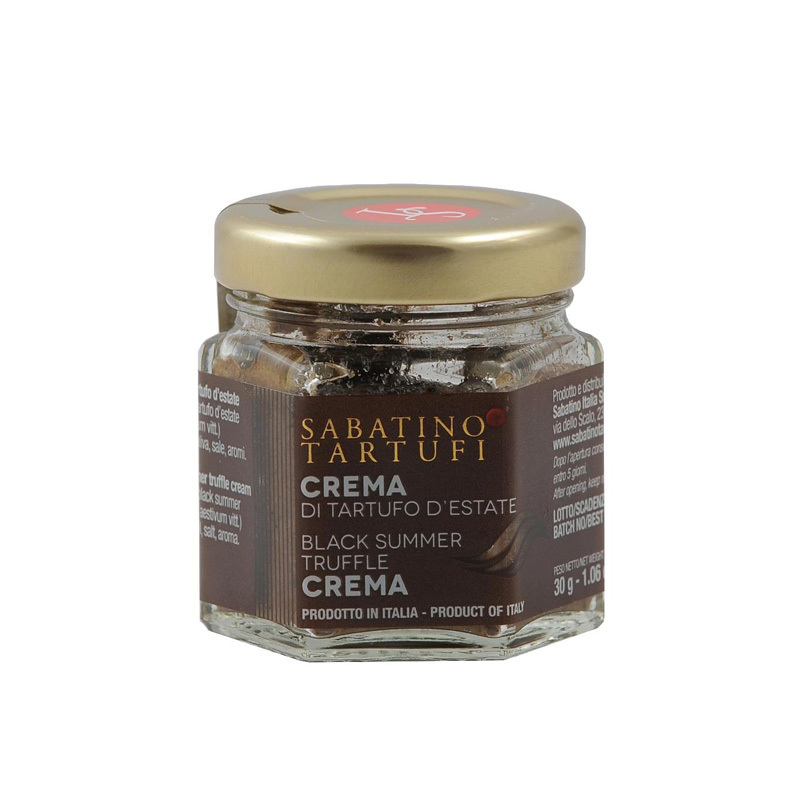 Truffle cream is a wonderful and easy way to get acquainted with the exotic world of truffles. The main ingredients for this delicious combination are concentrated minced black Summer truffle and olive oil. Spread sparingly on bruschetta, a great addition to a simple yet intense pasta dish or as a condiment for white and dark meats.